Notes: this tavern is currently in operation. Nestled at the foot of Tussey mountain About 35 minutes to the north west of Lewistown, over the seven mountains, is the little village of Boalsburg. The village was first settled in 1806 by Irish and Scottish settlers and Called Springfield. In the 1820‘s the town was renamed for a local family, the Boals. This little village has a claim to be the “Birthplace of Memorial Day”. In this little village there is a tavern of interest. 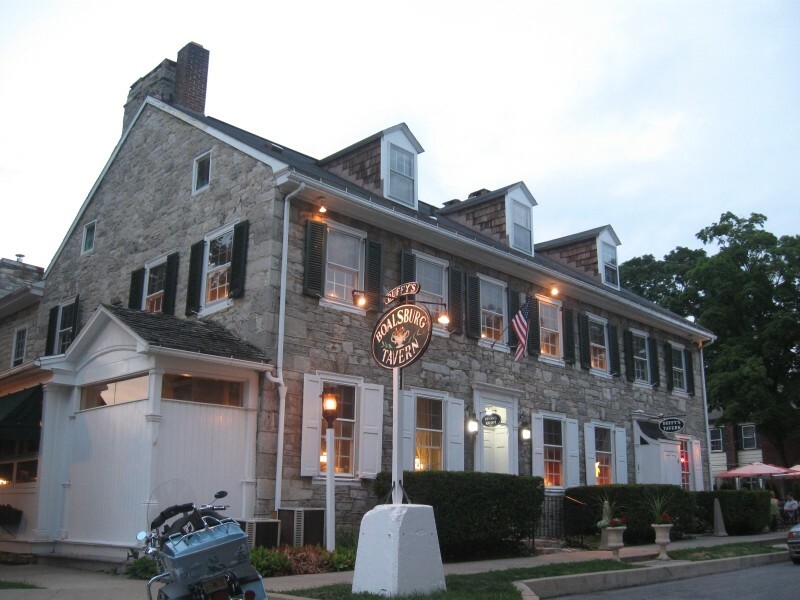 This tavern was built in 1819 by Colonel James Johnston and his wife Hannah. Besides the Ballroom on the second floor for the local gentry, the tavern’s main purpose was to provide food and lodging for the stagecoaches passing by on the King’s road to the west. This road is currently known as route 322. This tavern was open from 1819 till 1934, when it was damaged by fire. It then went thru a 3 years restoration period, and reopened in 1937. Since it’s reopen, it has been operating continuously. Harry Duffy purchased the tavern in 1946, and gave it it’s current name of Duffy’s Tavern. He ran the business until he passed away in 1961. Although it has changed ownership several times since then, it is Harry who seems to be the focus of paranormal activity. night when the lights shut off, the waitress called out "That's enough, Harry" and the power came right back on. The staff believes that Harry is a friendly ghost, and just looking for a little love from the Duffy's crowd reported the October 31, 2006 The Collegian . Orbs have been seen floating around the dining room. Many people have felt cold spots and had unexplained encounters with colonial dressed apparitions. One of our servers was working in the formal fruit room a few years ago. She was waiting on a table of four. After returning to the table a few times, one of the guests asked if she was training the girl in the yellow dress……..but there was no girl in a yellow dress!